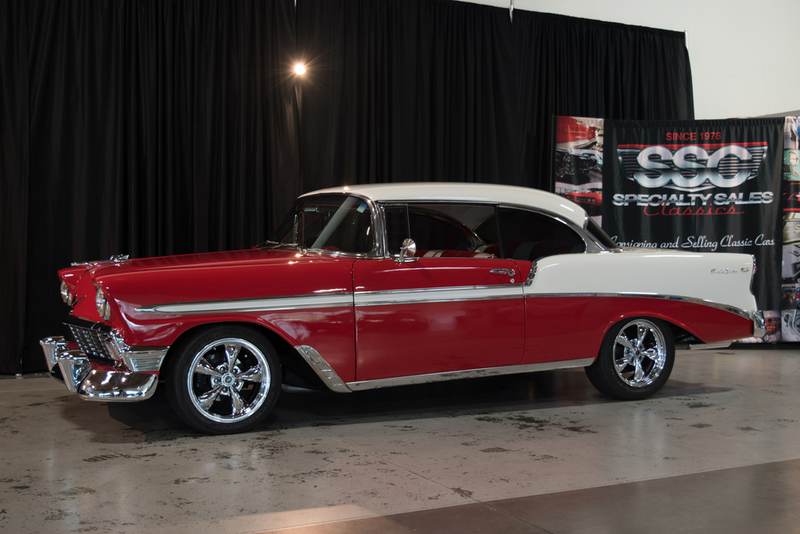 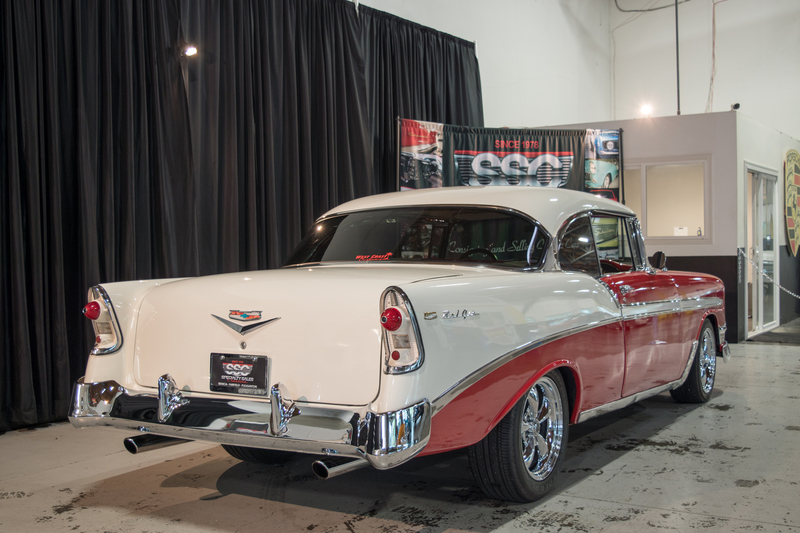 This 1956 Chevrolet Bel Air 2 Door Hardtop (Stock # B11485) is available in our Benicia, CA showroom and any inquiries may be directed to us at 707-748-4000 or via email at Sales@SpecialtySales.com. 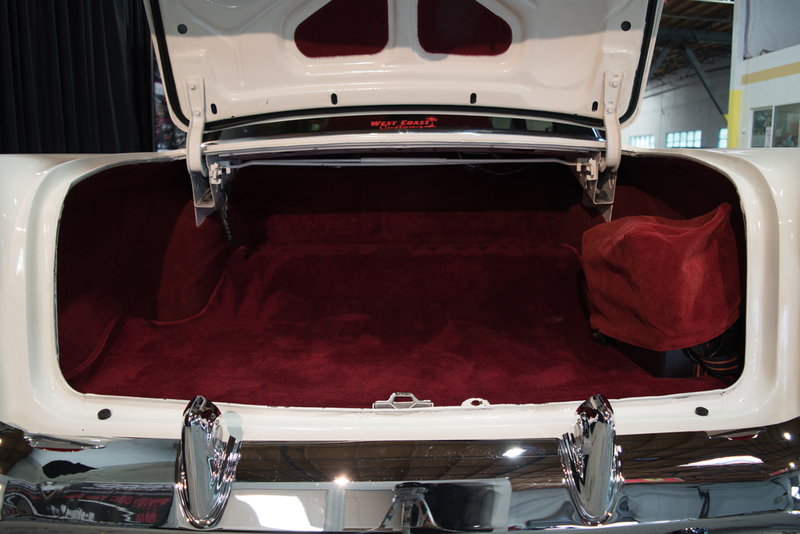 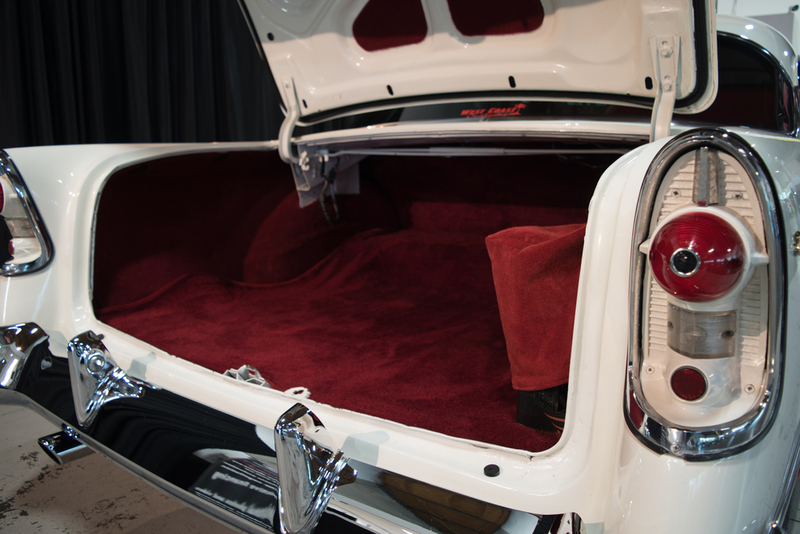 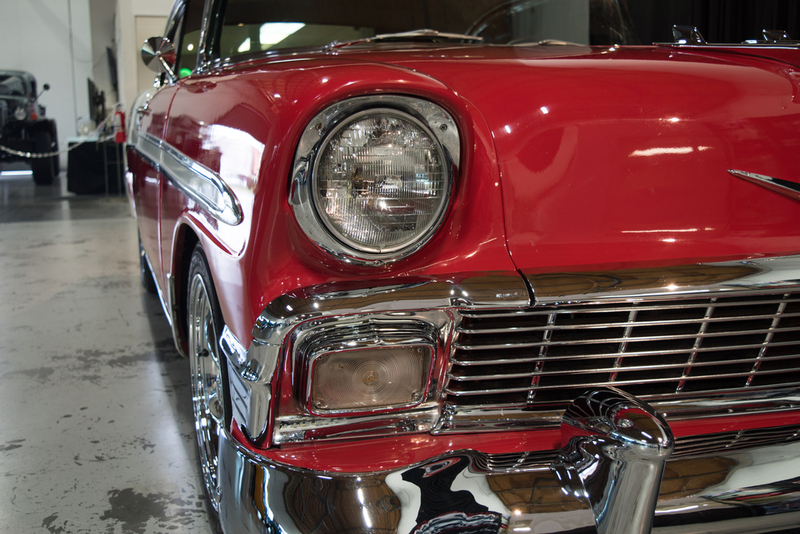 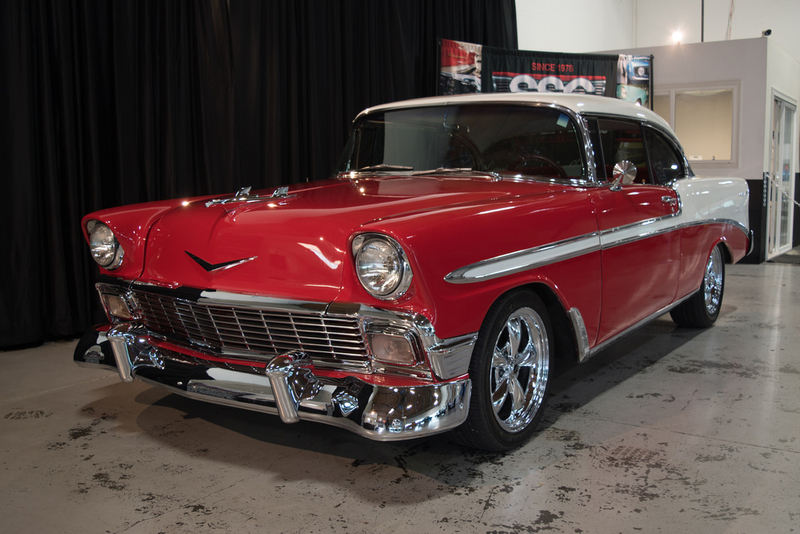 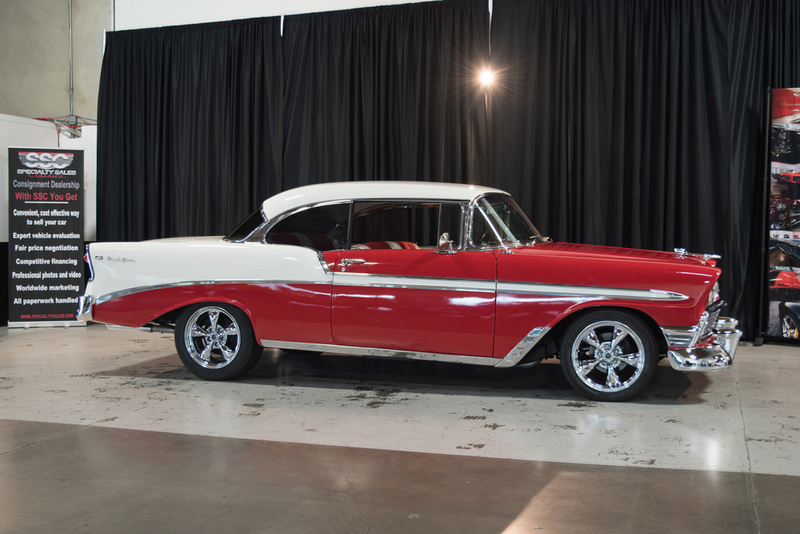 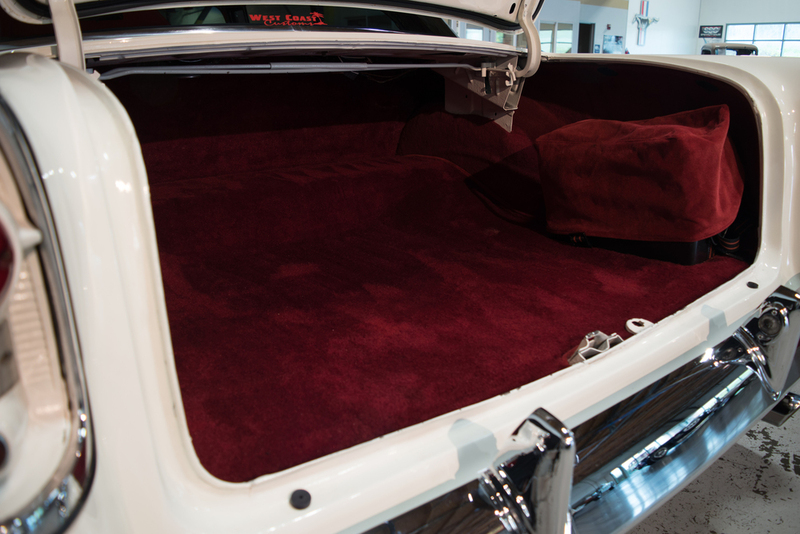 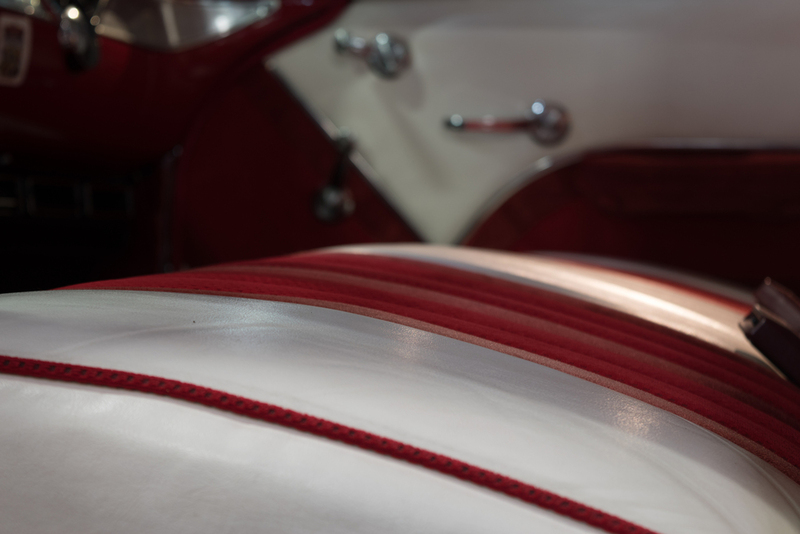 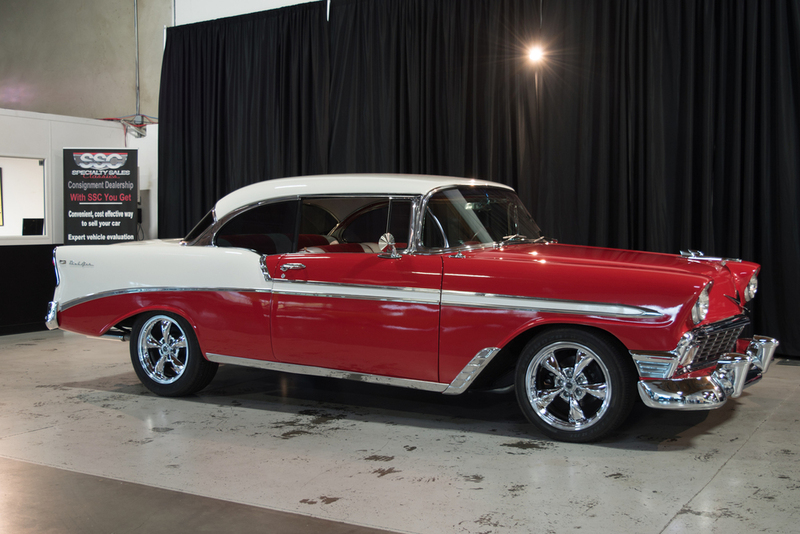 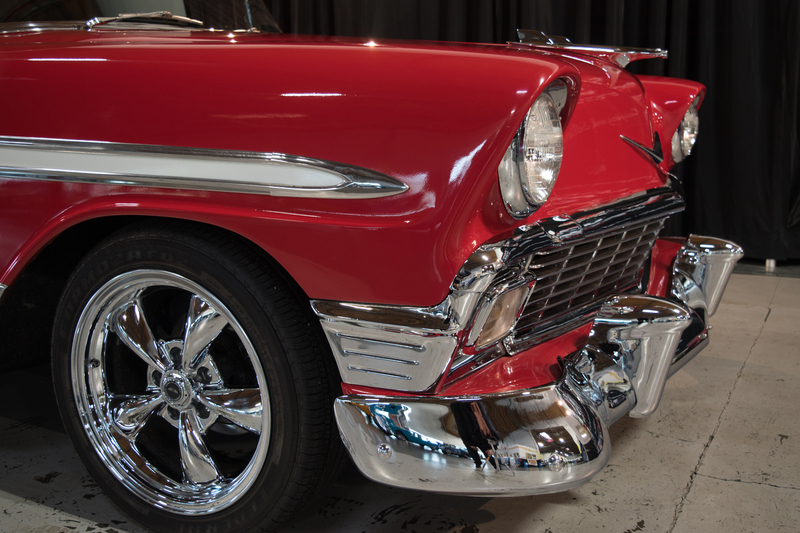 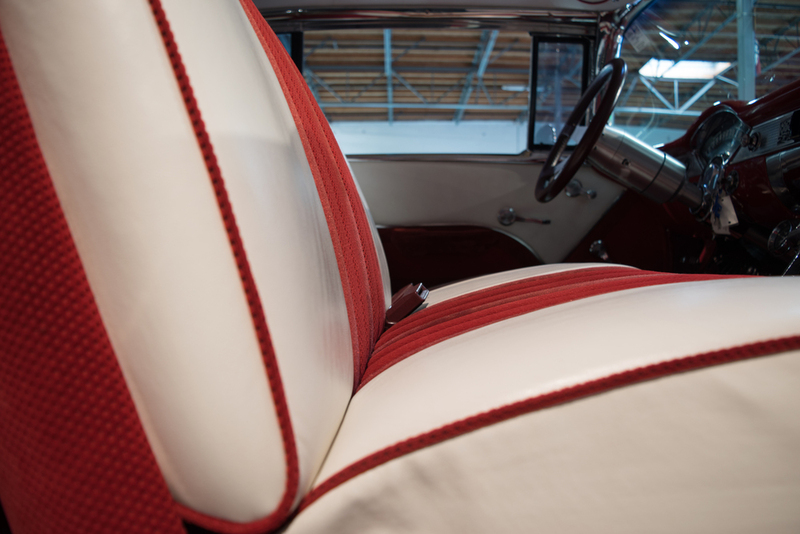 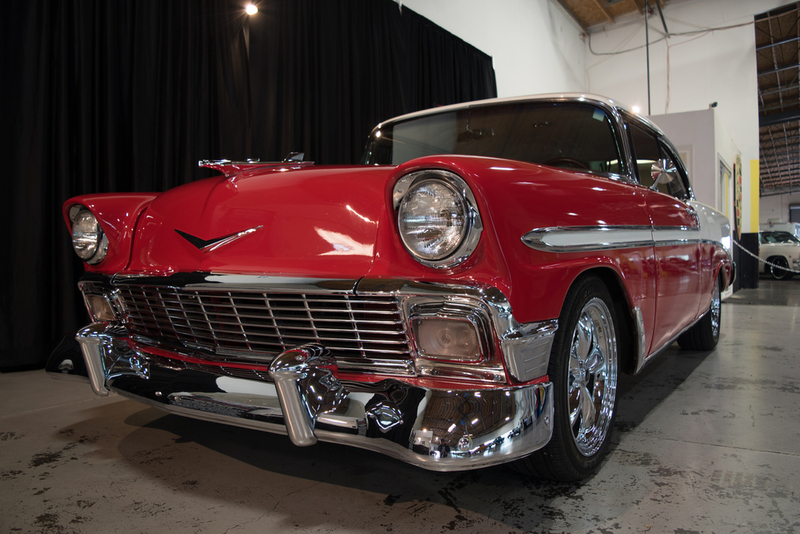 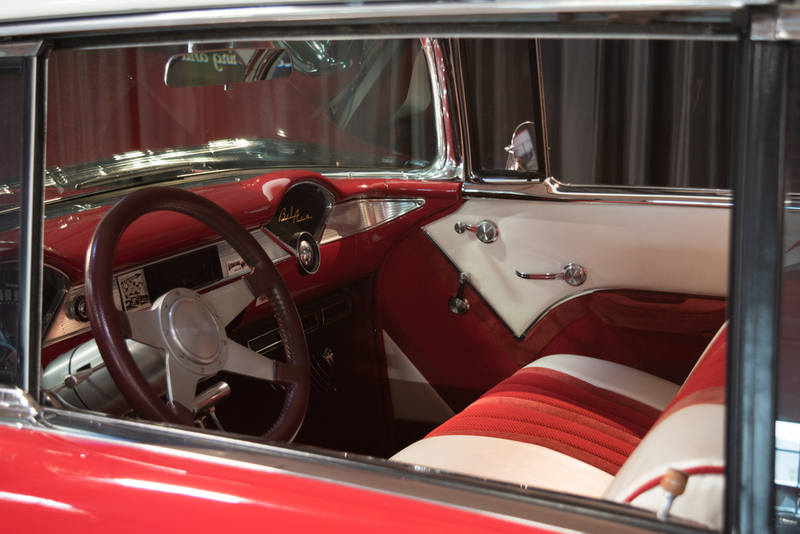 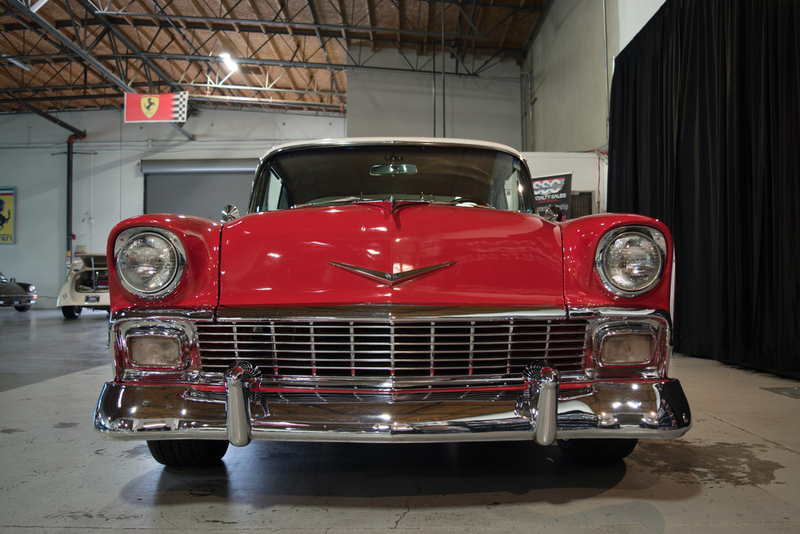 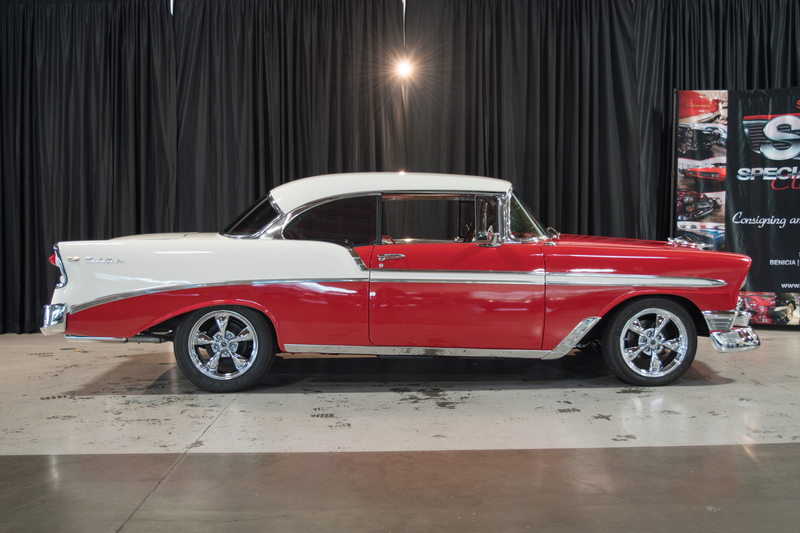 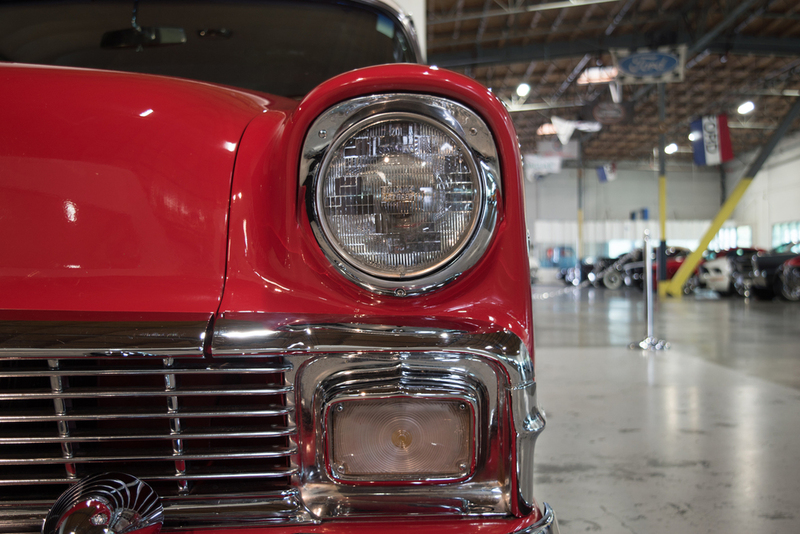 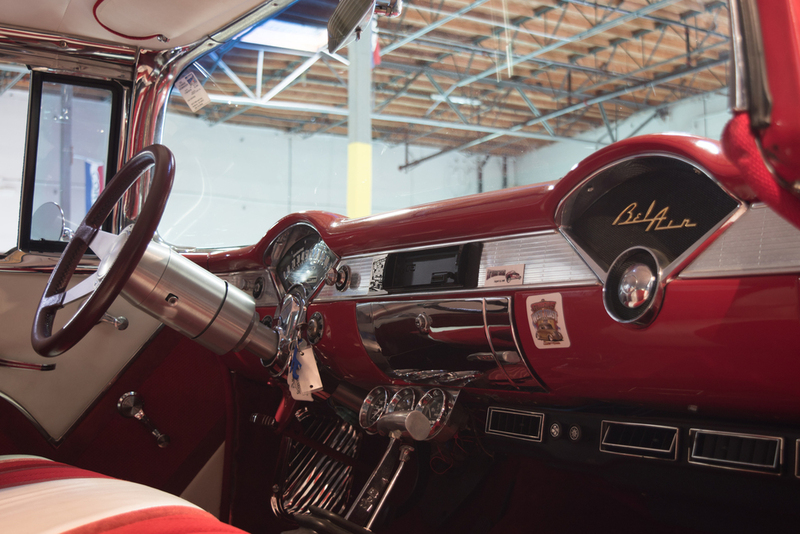 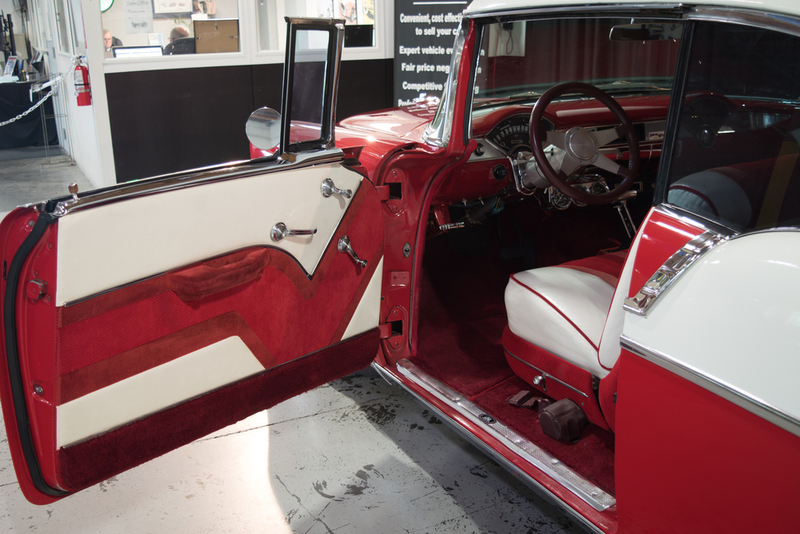 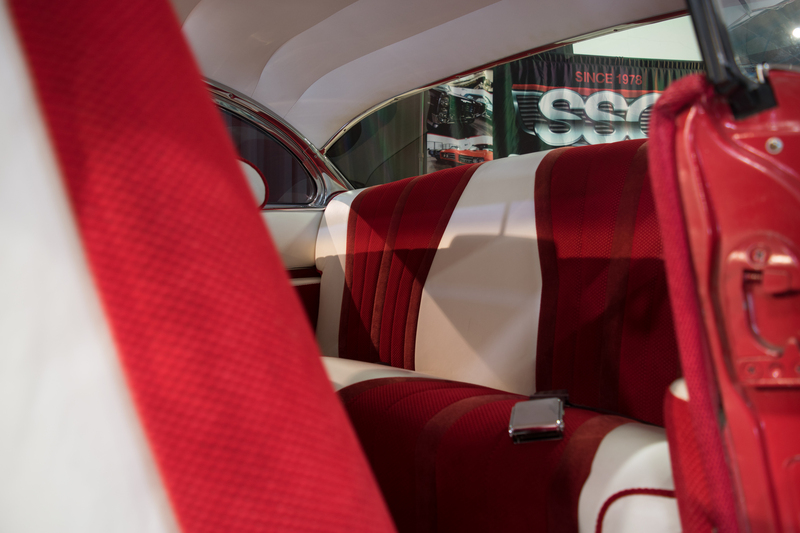 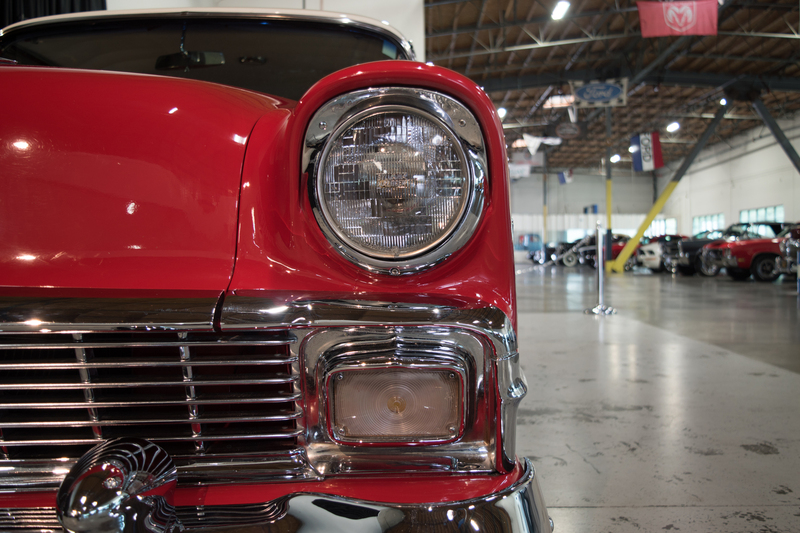 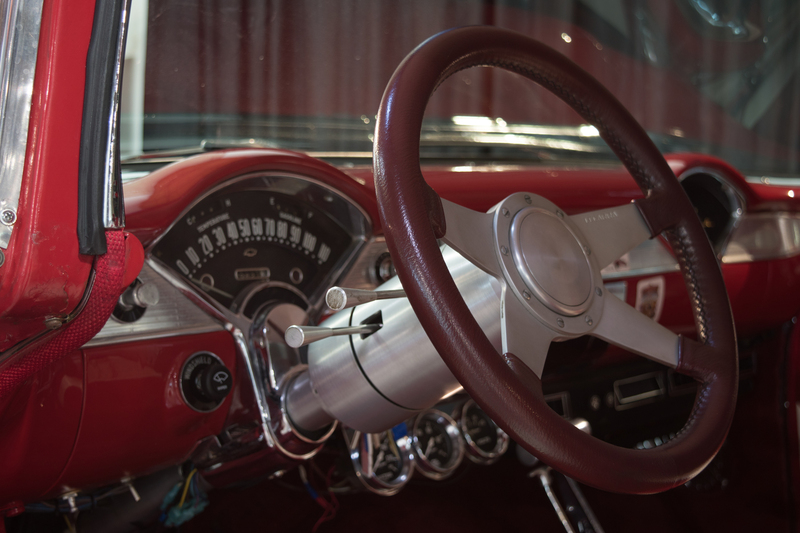 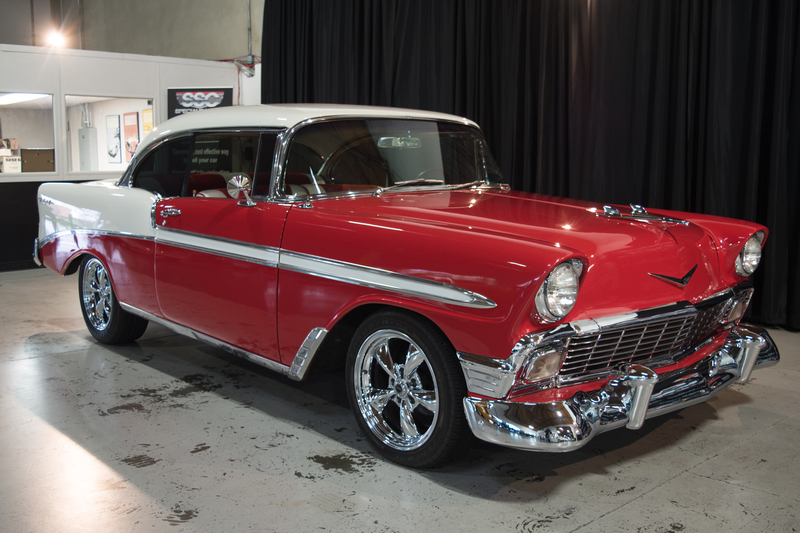 New to our Benicia showroom is this highly iconic 1956 Chevrolet Bel Air 2 Door Hardtop with red and white exterior paint, shimmering chrome work and a matching red/white interior. 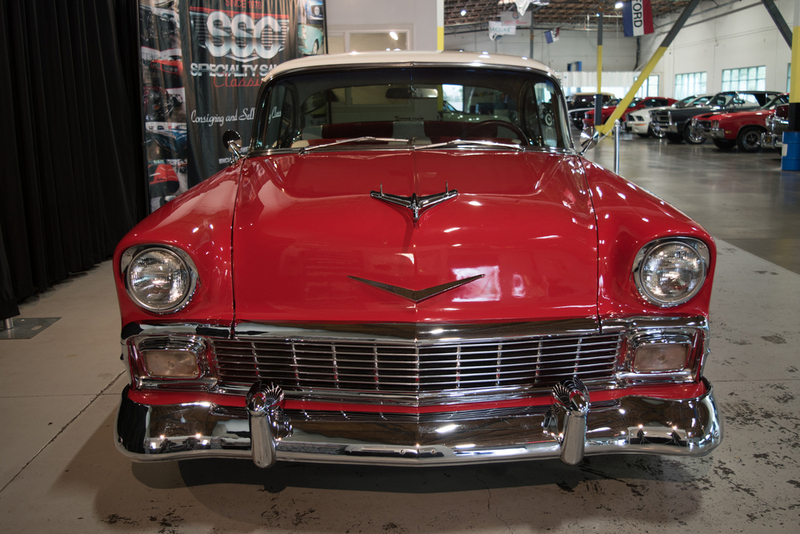 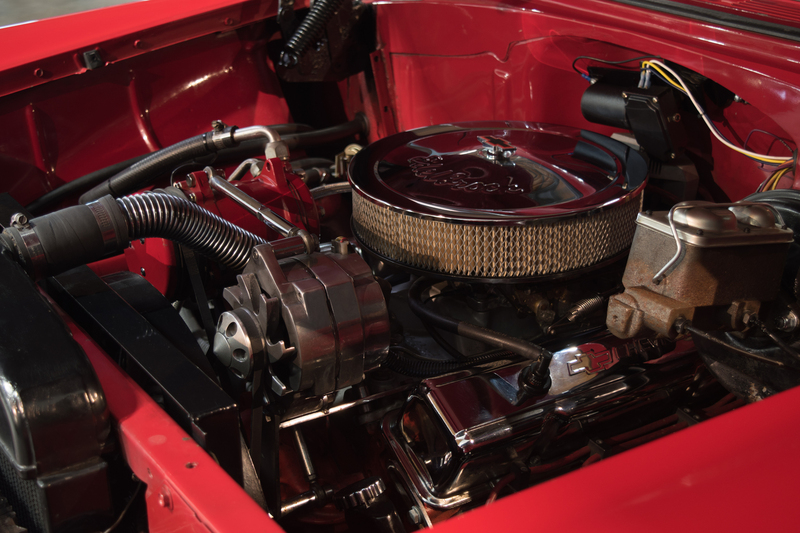 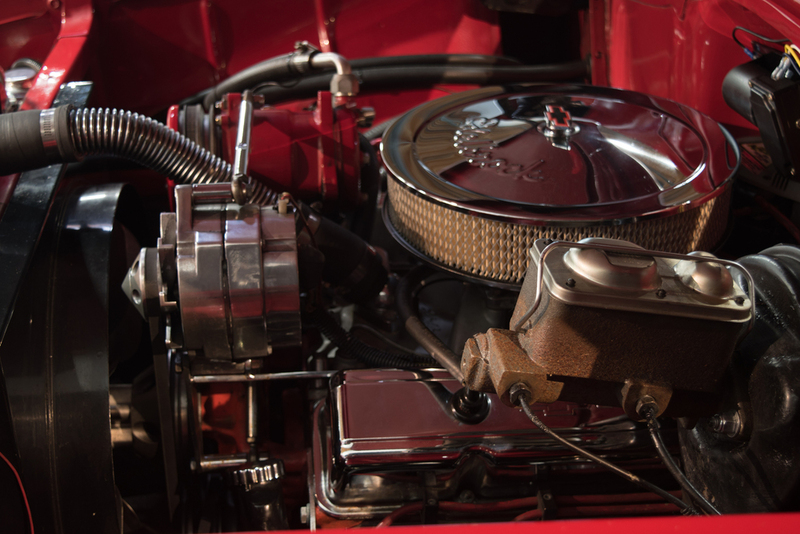 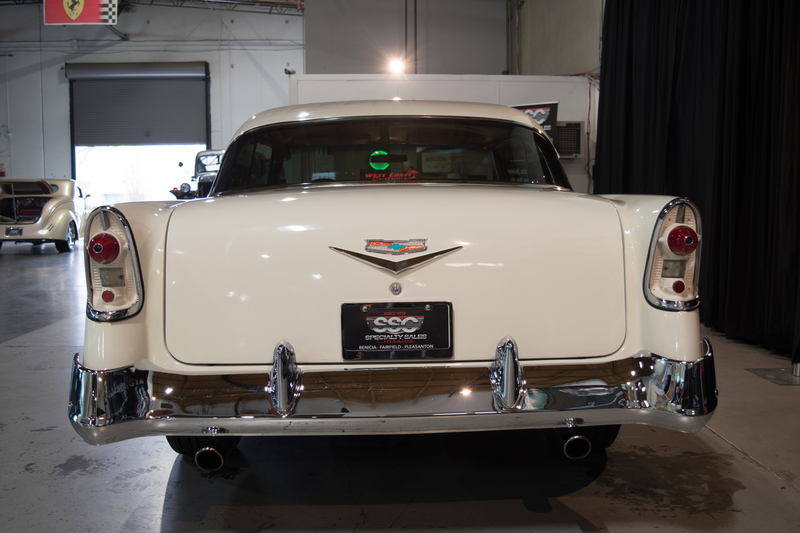 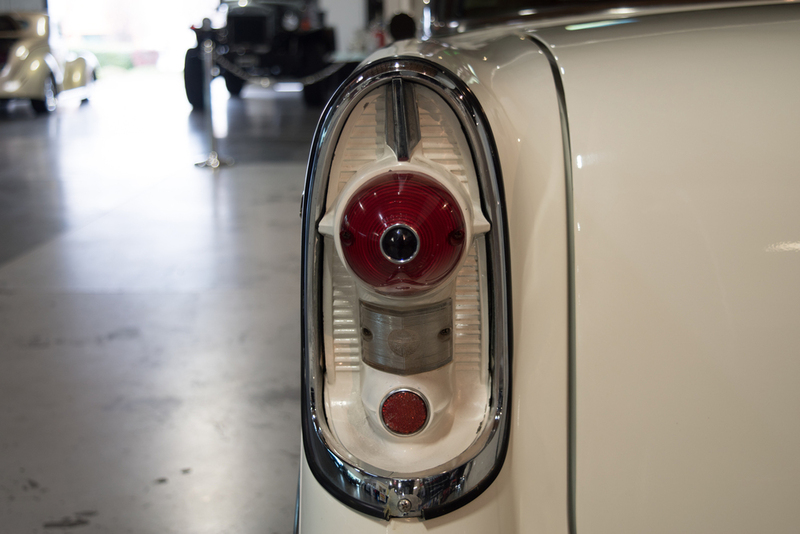 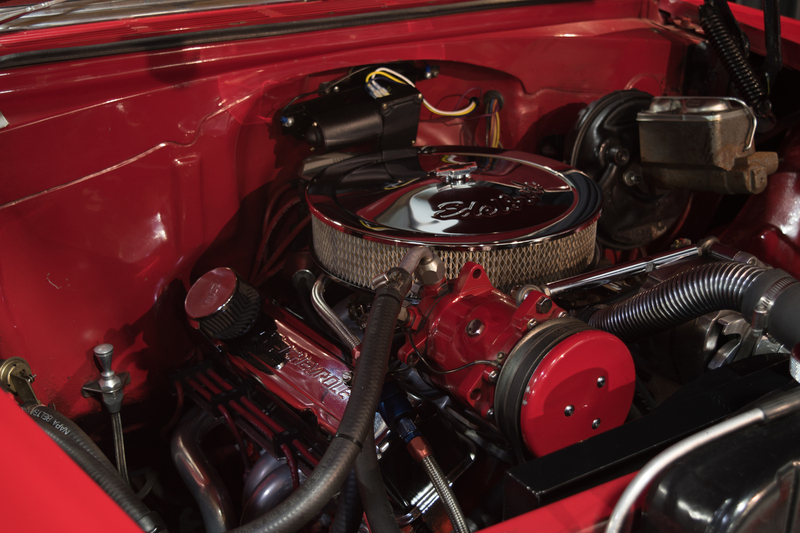 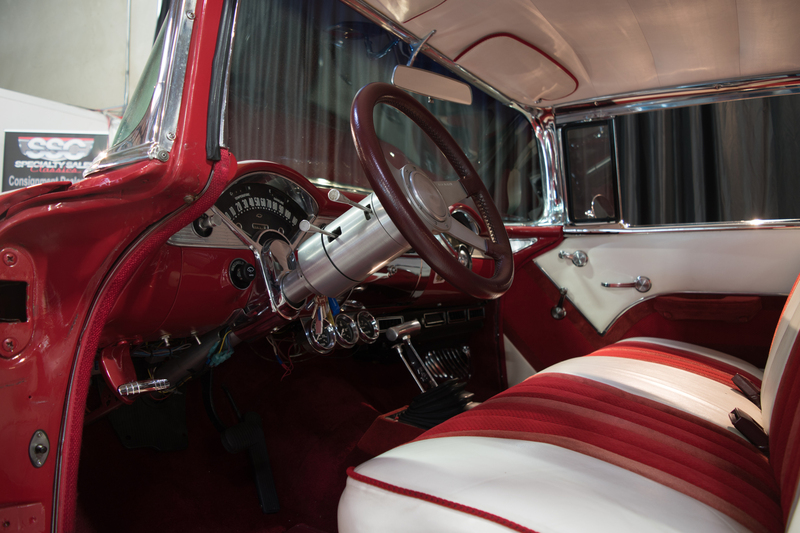 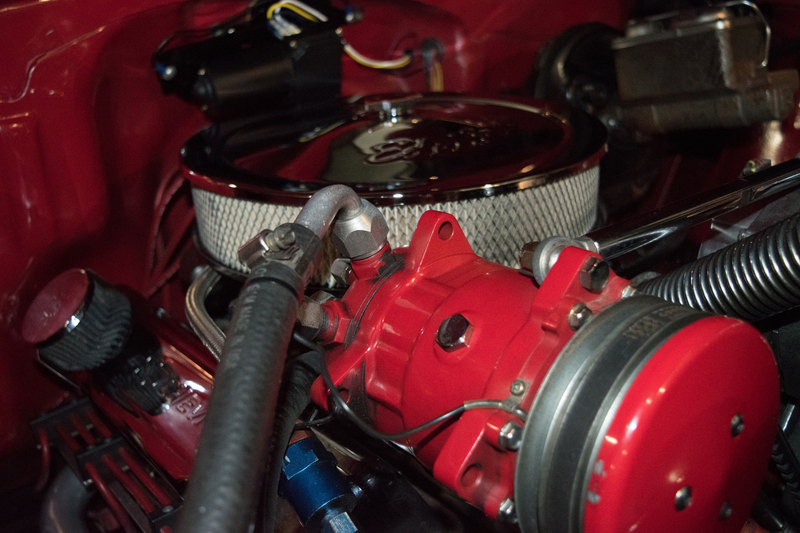 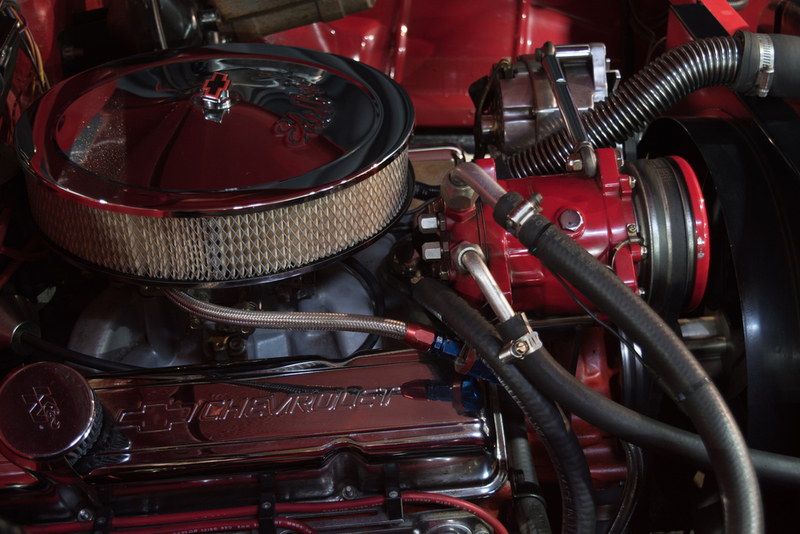 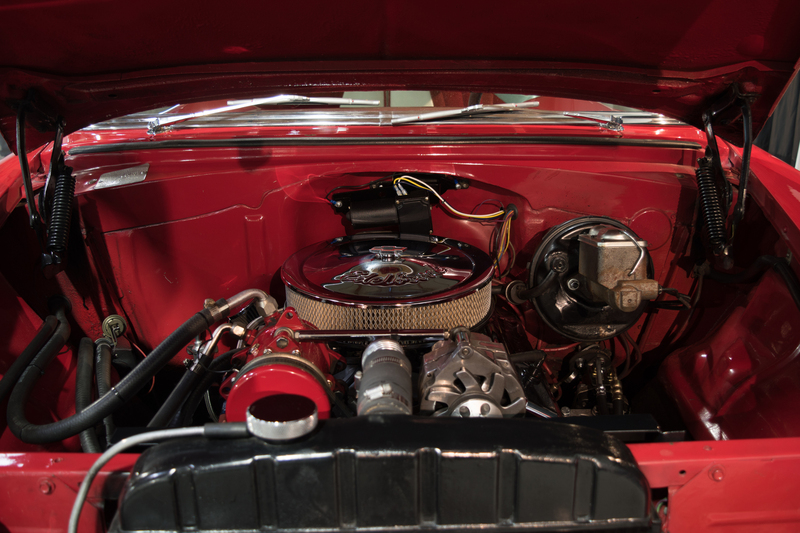 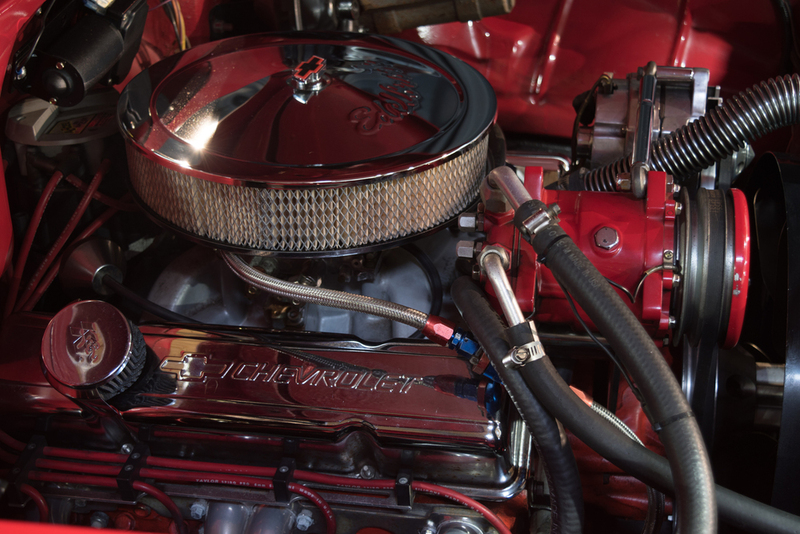 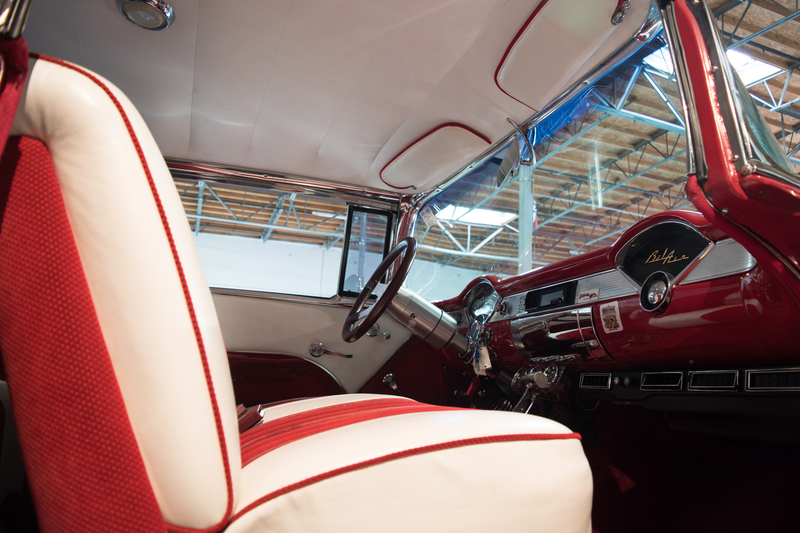 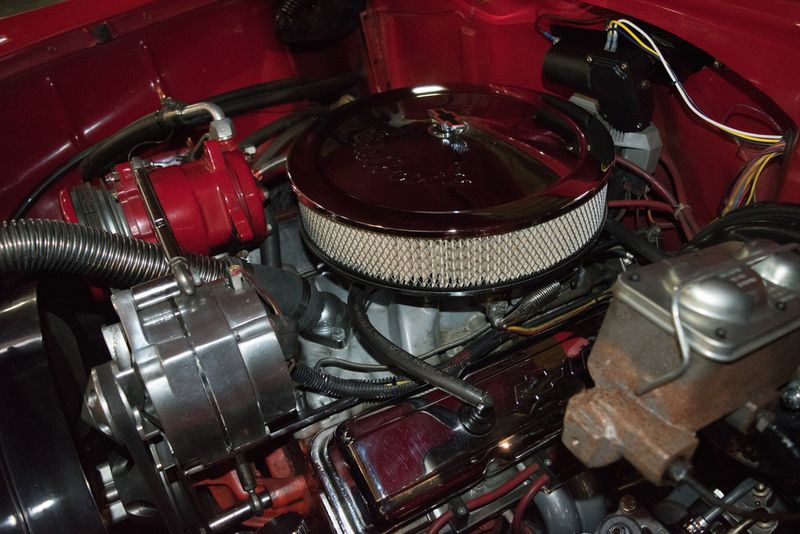 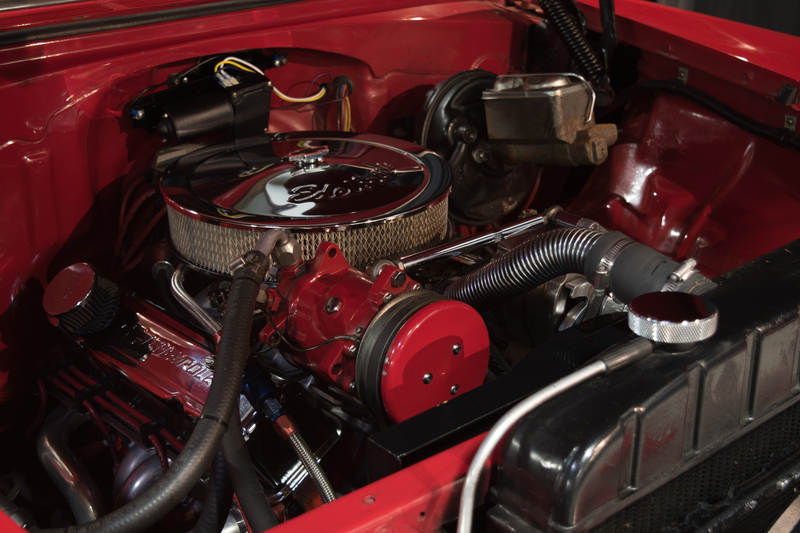 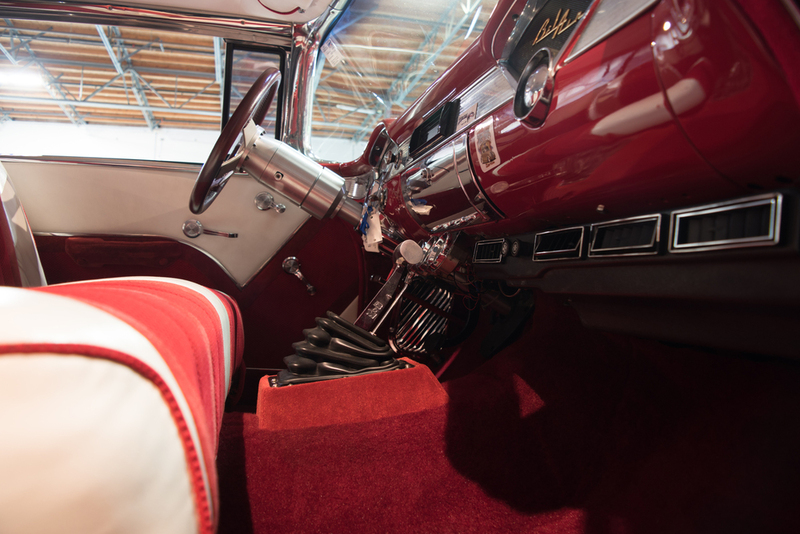 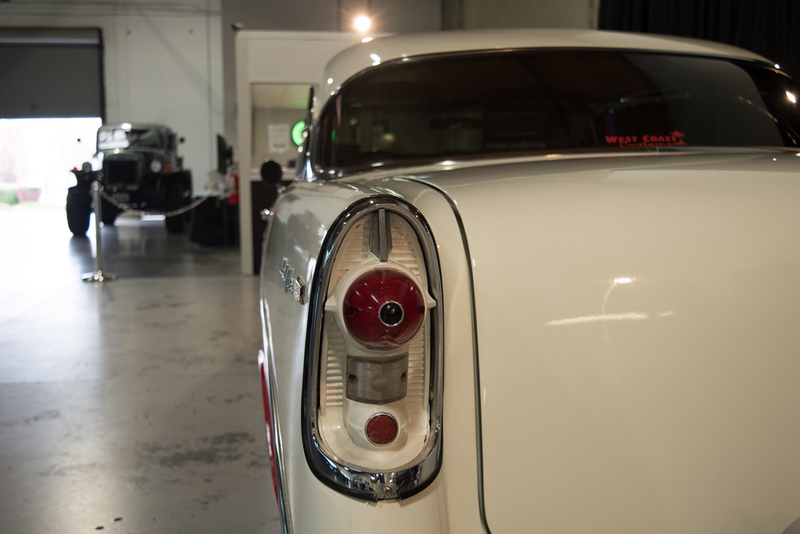 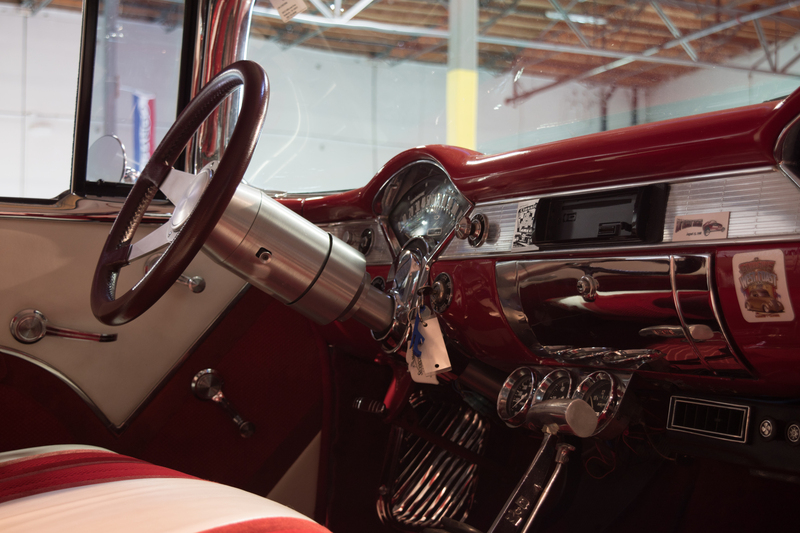 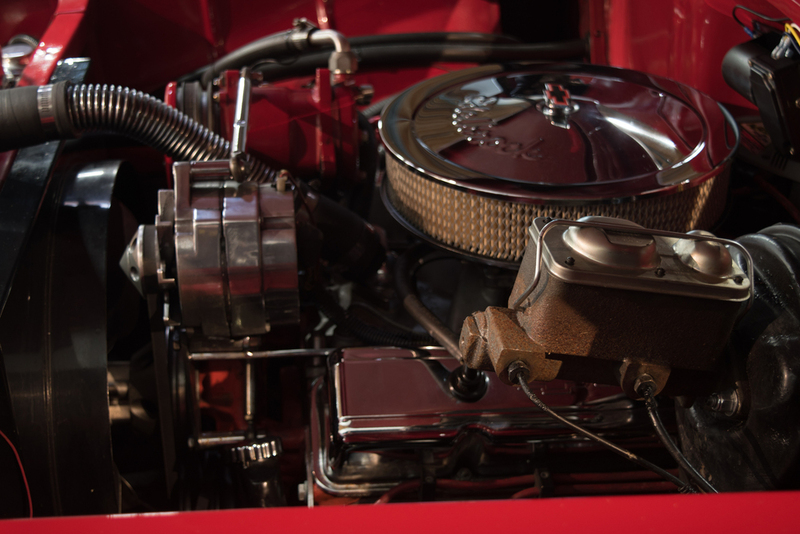 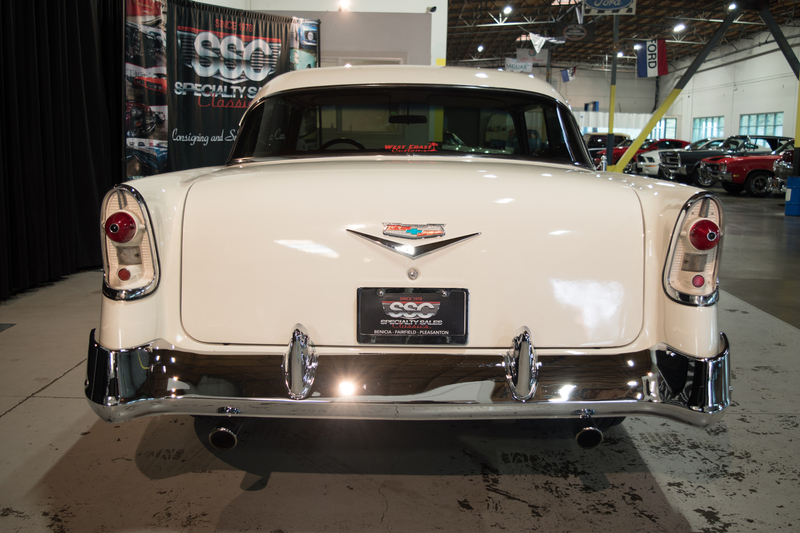 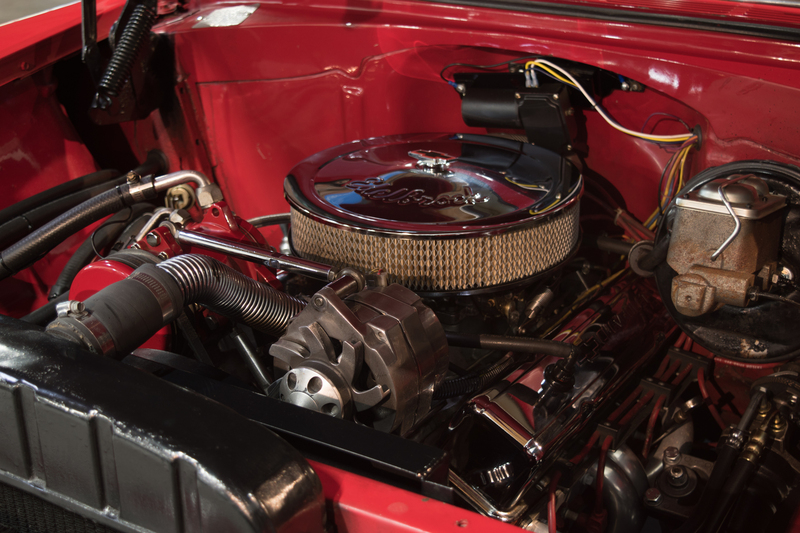 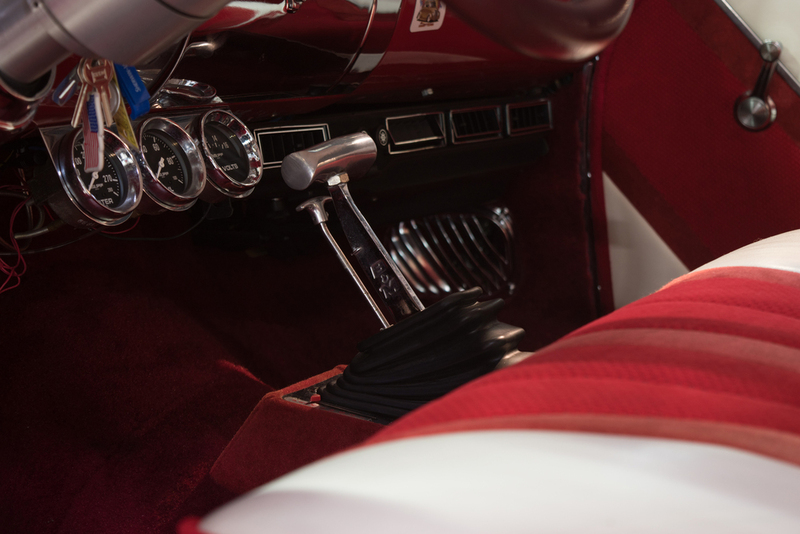 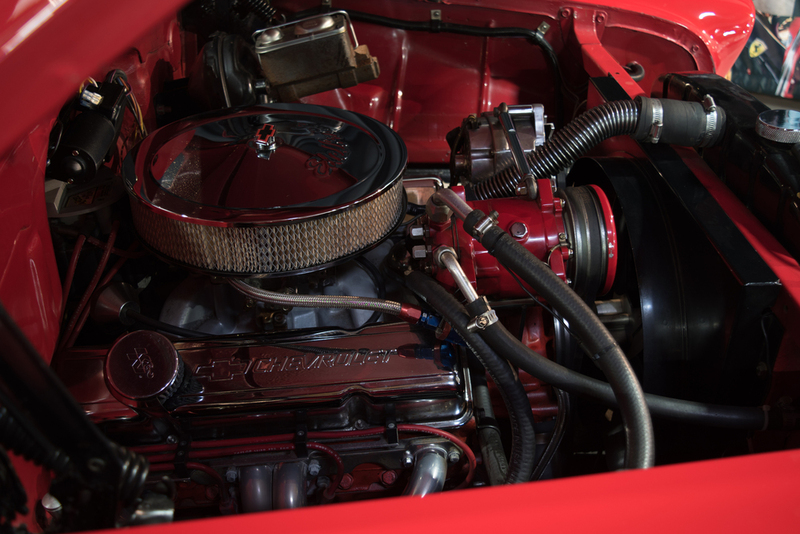 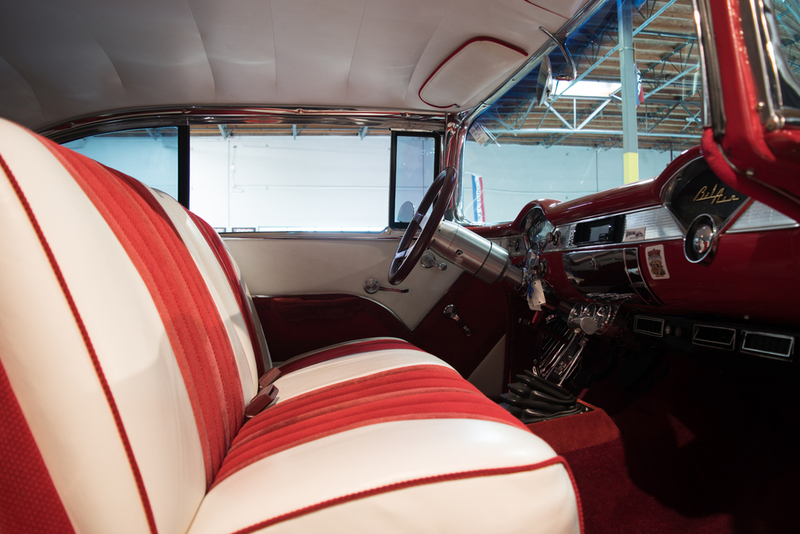 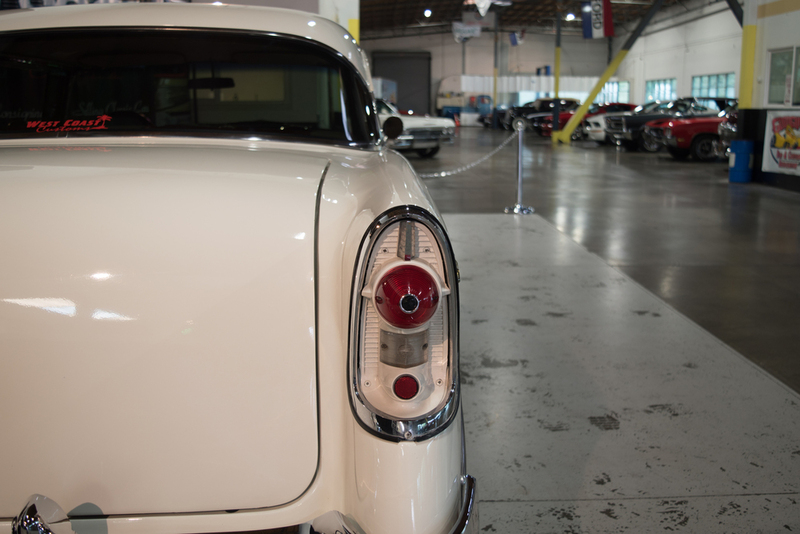 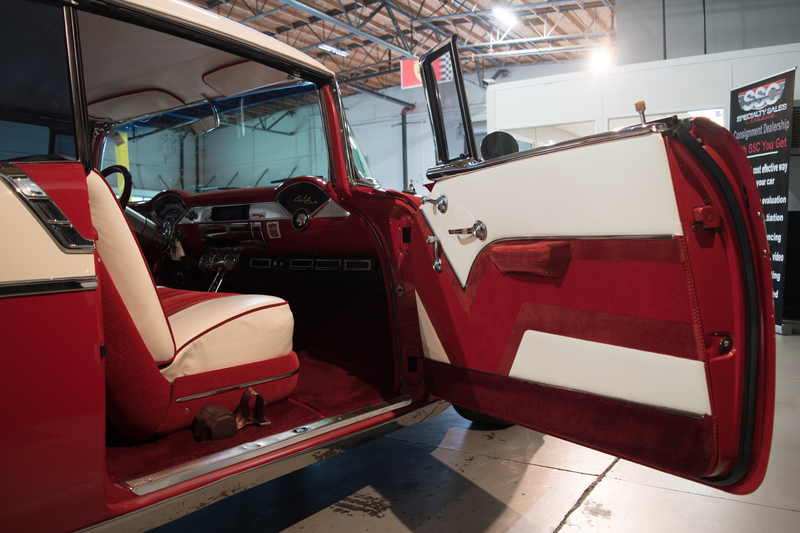 This beautiful car has a 350 cid V-8 engine under the hood with a four-speed automatic transmission and this outstanding classic vehicle has been meticulously cared for its entire lifetime by two separate owners. 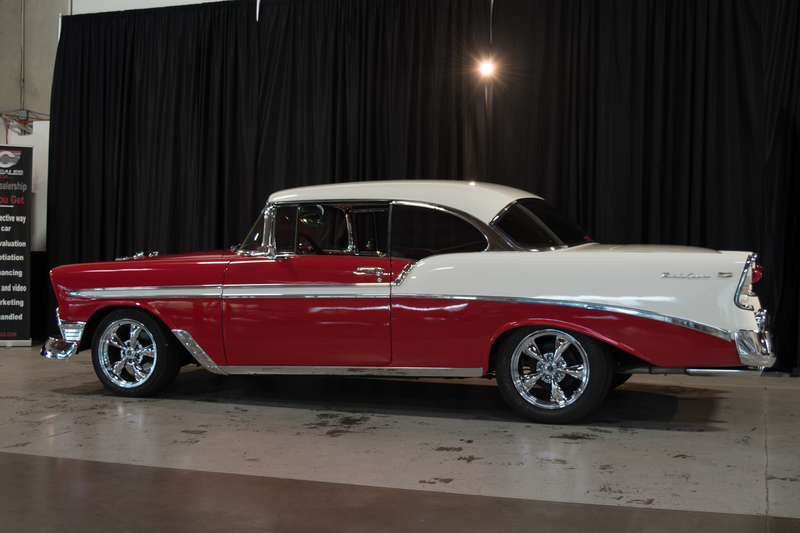 This is easily one of the most pristine examples that you’ll come across this year. 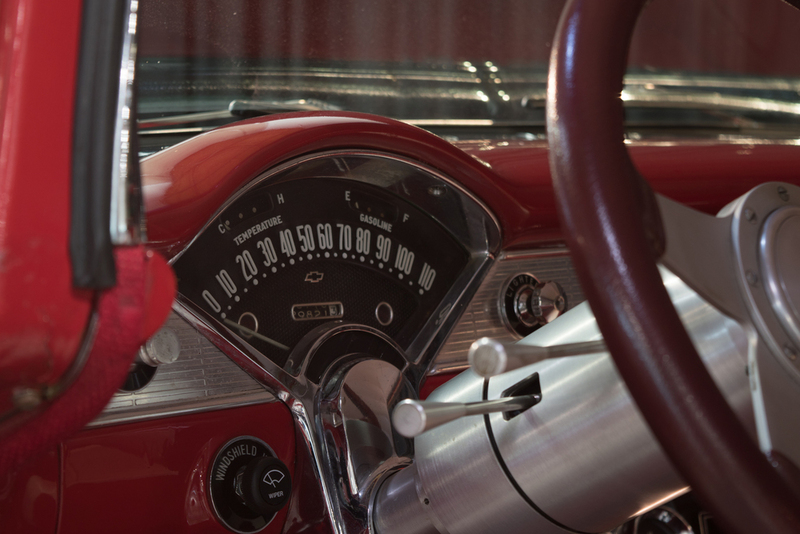 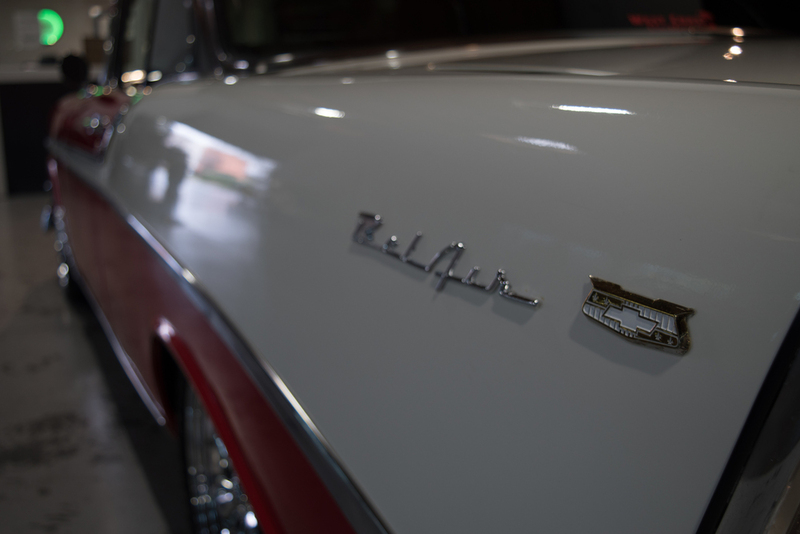 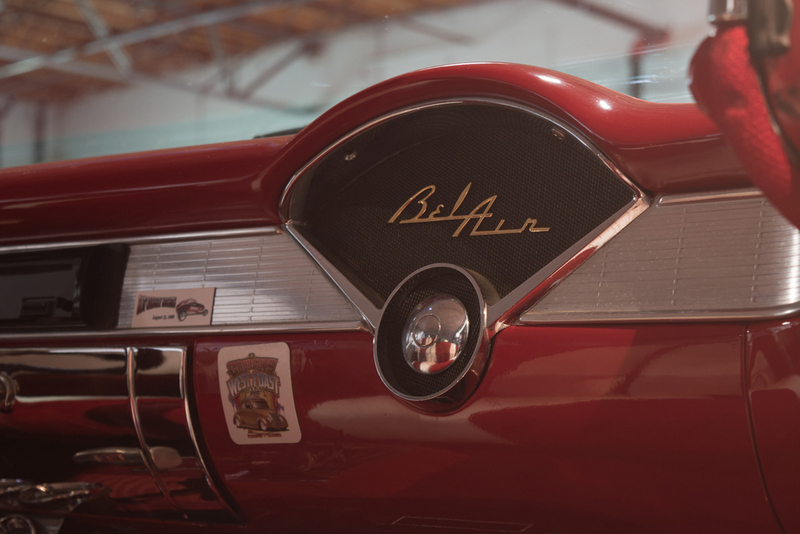 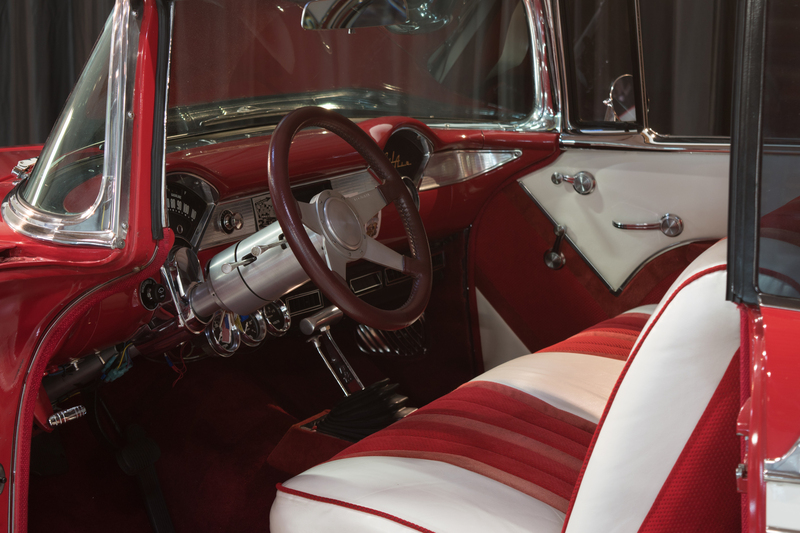 The current owner of this 1956 Chevrolet Bel Air took possession back in 1970 from his father and enjoyed it as an occasional daily driver for the next 34 years. This classic underwent a very high level frame off restoration in 2014 and was upgraded to the current drive-train in order to deliver excellent modern performance. 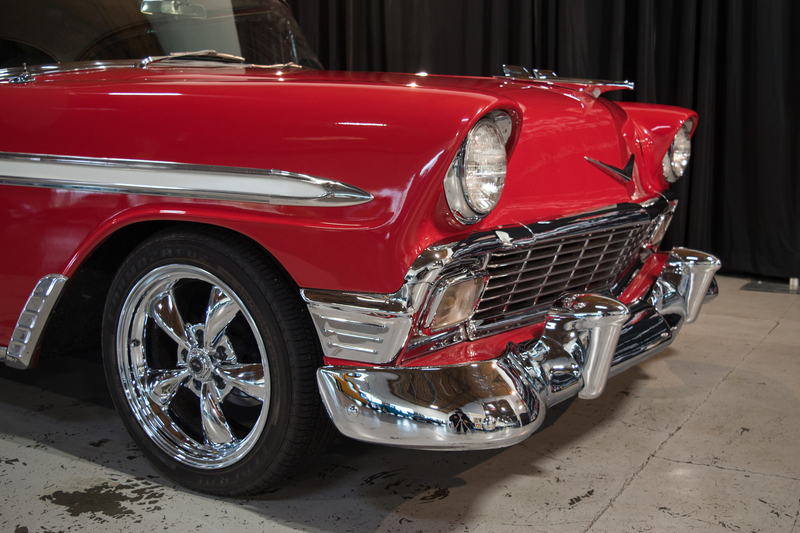 As you can see from the photographs, the exterior body is exceptional with fantastic metal work, trim pieces and show quality paint. 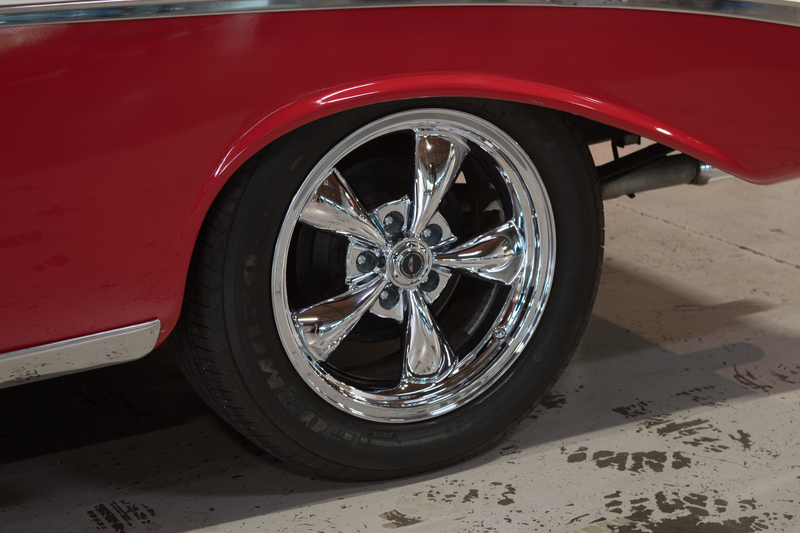 With a nice set of aftermarket wheels and gorgeous chrome, its curb appeal will truly take your breath away. 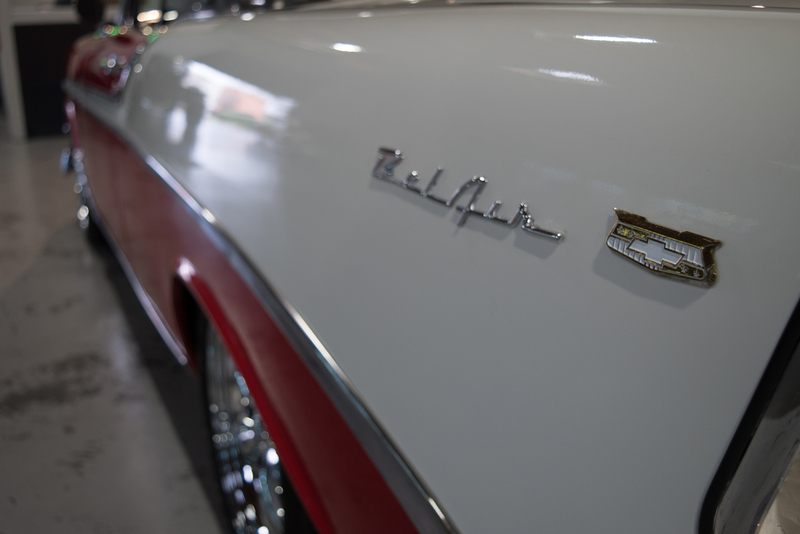 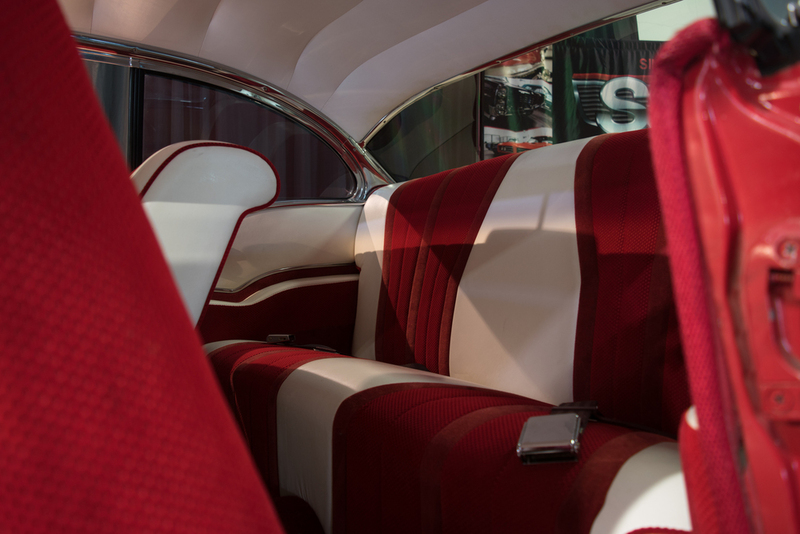 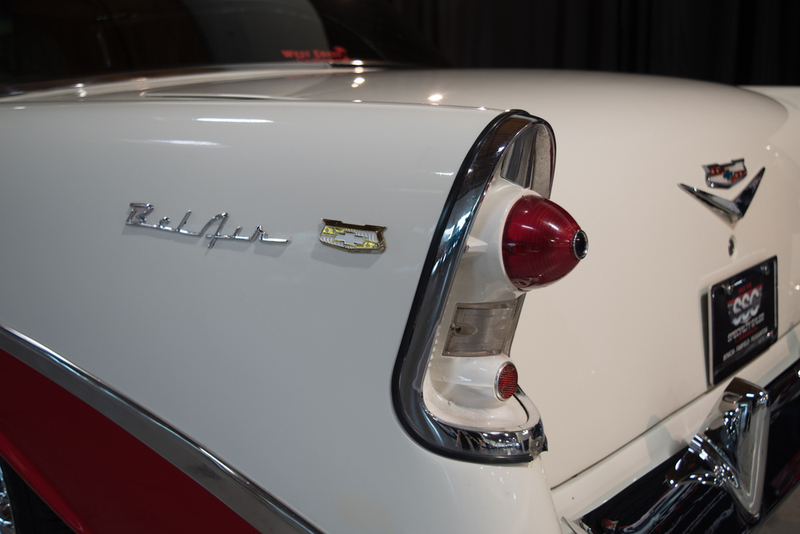 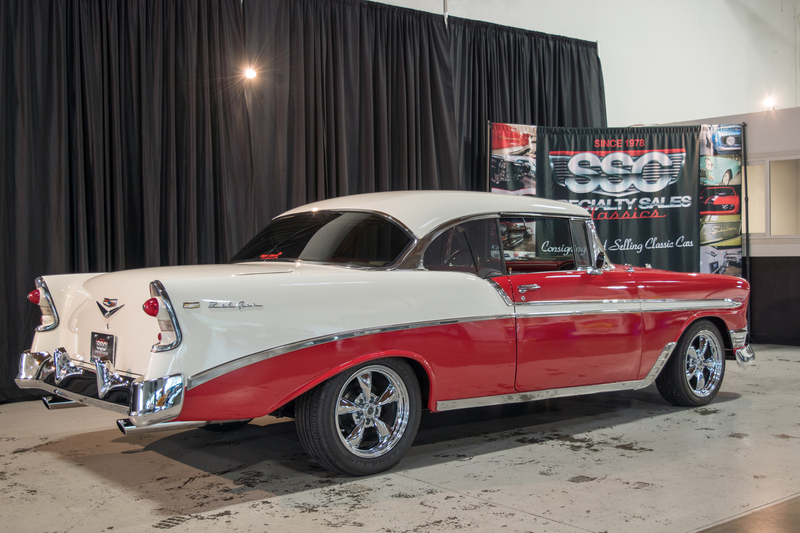 We were also informed that this 1956 Chevy Bel Air was used by the family to take in car shows across the country and it's won countless first place awards, including the Western Nationals back in 1994. 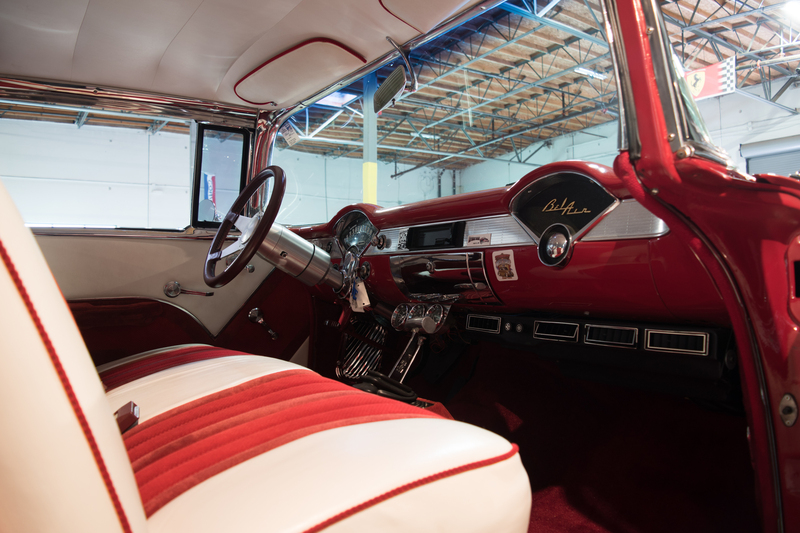 It has been passed down through three generations of this family and their hope is that it finds a similar new home where it can be enjoyed for many additional generations. 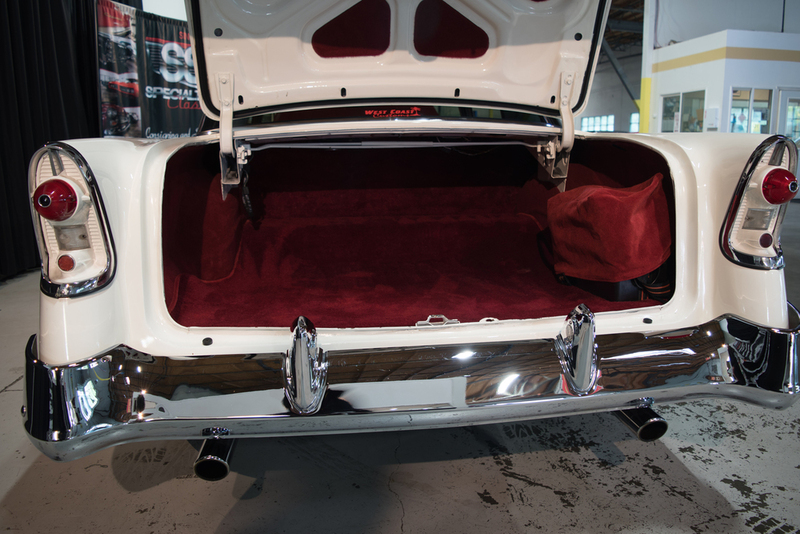 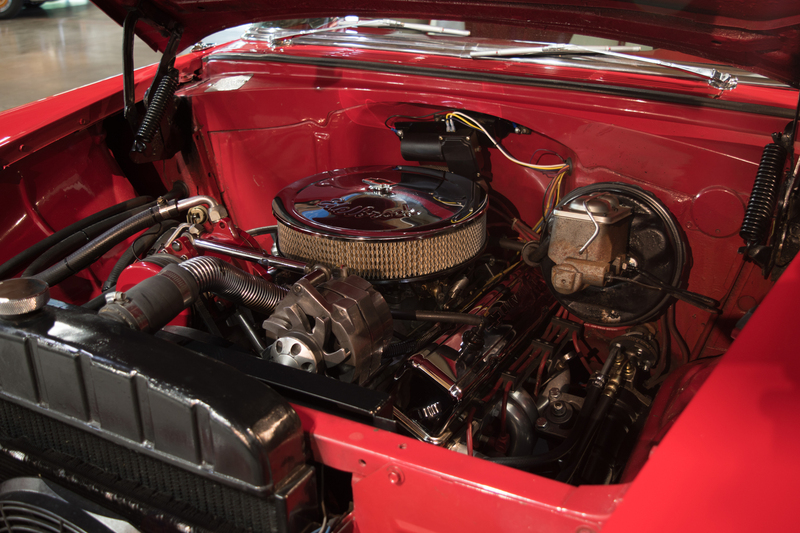 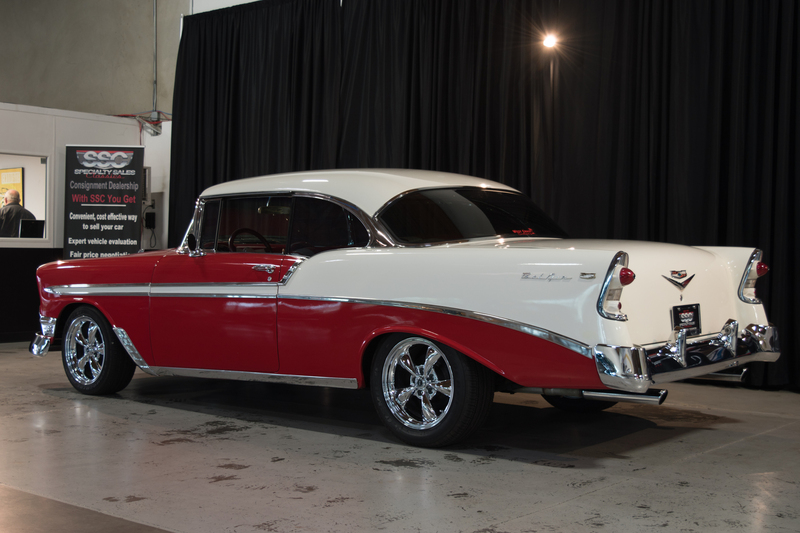 Additionally, this 1956 Chevrolet Bel Air 2 Door Hardtop has a super clean engine compartment that has been tastefully upgraded throughout to show quality. 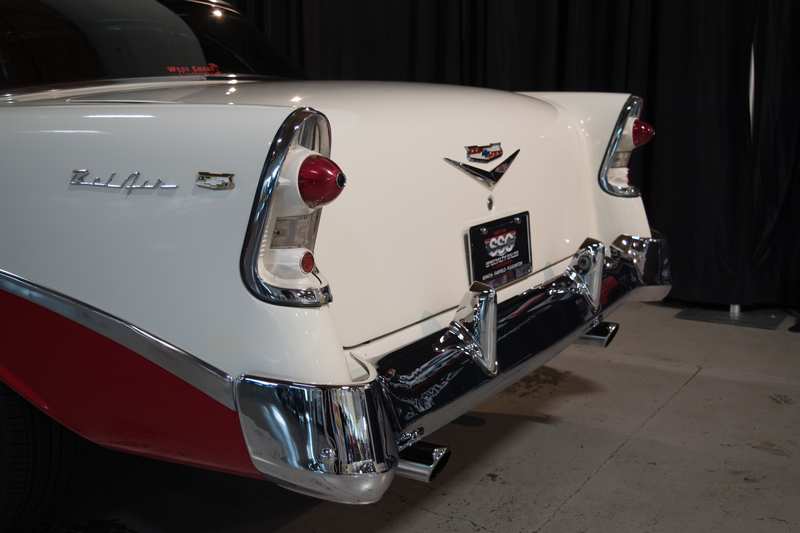 The performance on the open road is excellent with instant acceleration and above average handling for a model of this caliber. The period correct interior is just as impressive bordering on like new condition throughout. 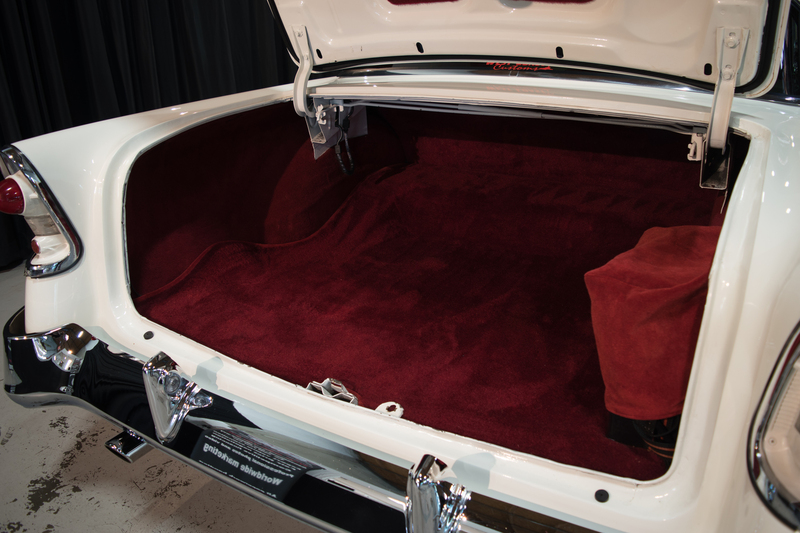 This one needs nothing to be enjoyed immediately. 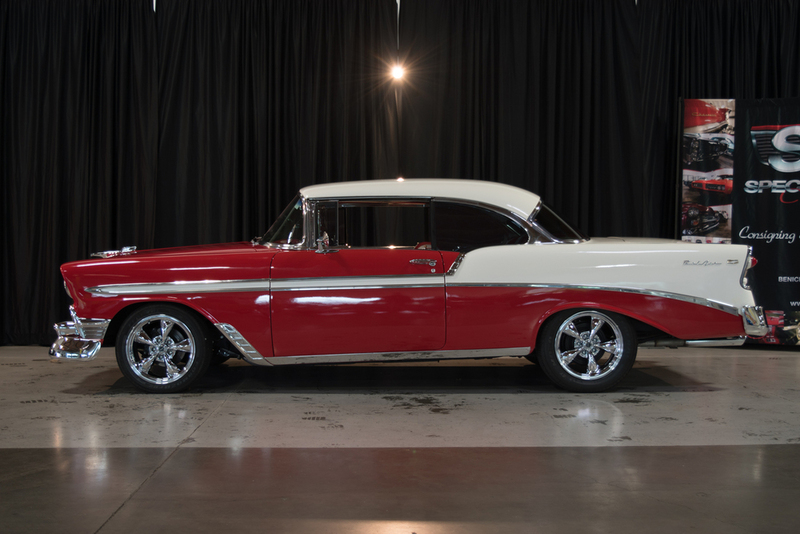 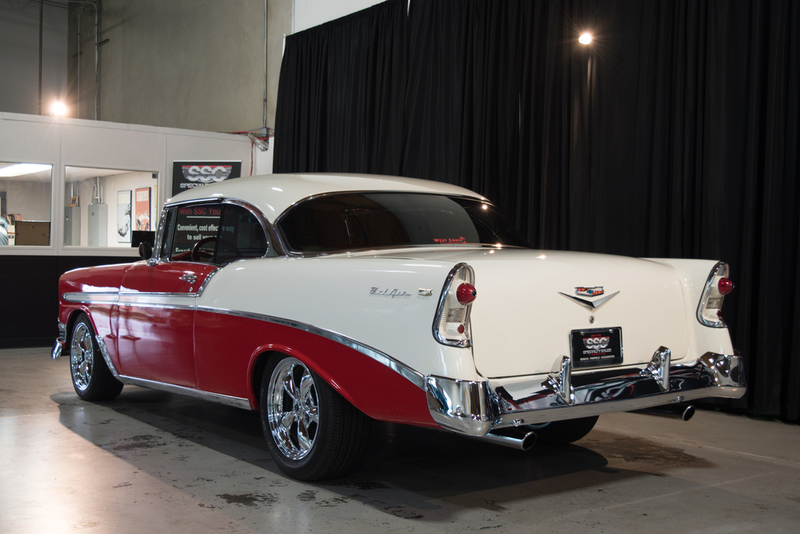 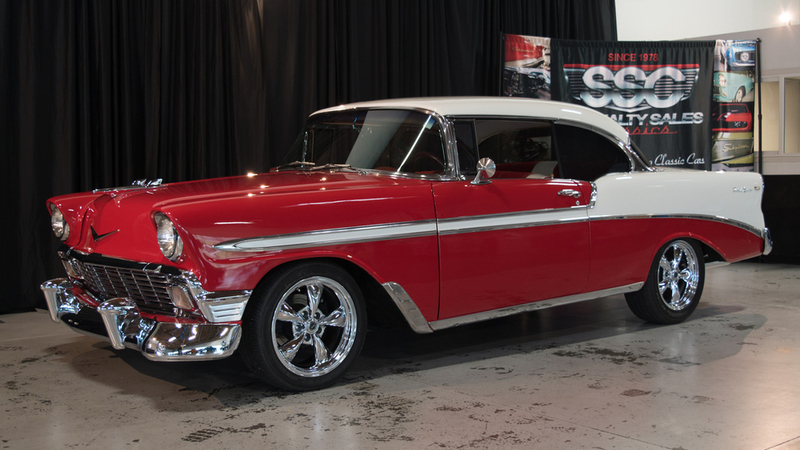 Overall, this 1956 Chevrolet Bel Air 2 Door Hardtop is a gorgeous, highly original classic that has been maintained at the highest possible levels its entire life. 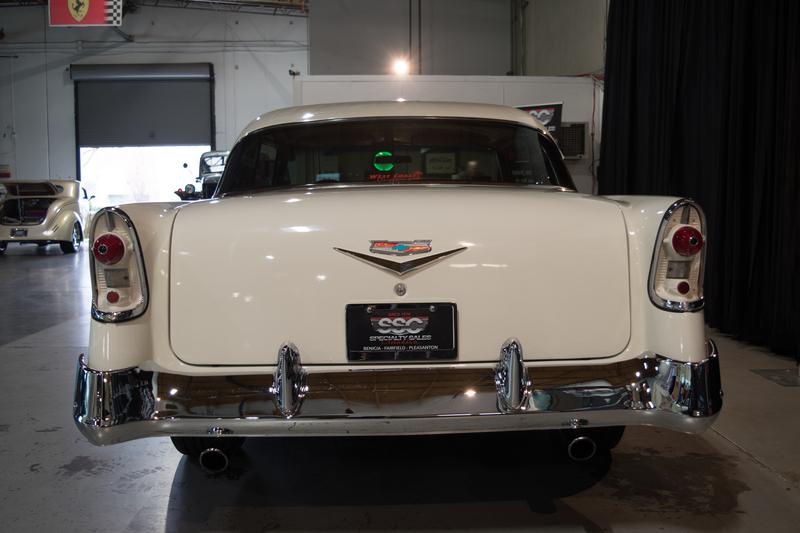 With only two lifetime owners and fantastic lifetime documentation showing decades of proper care, it would be near impossible to find a more prestigious example at this price point. 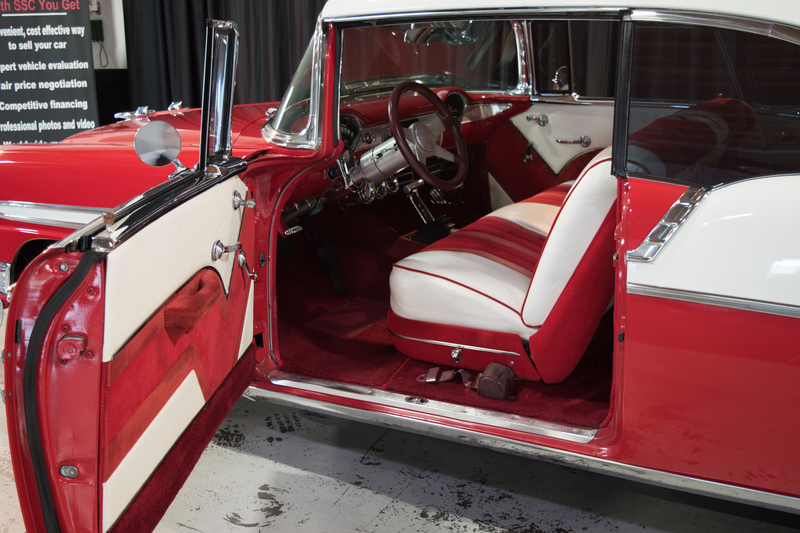 There’s simply no way that it remains available on the open market for long. 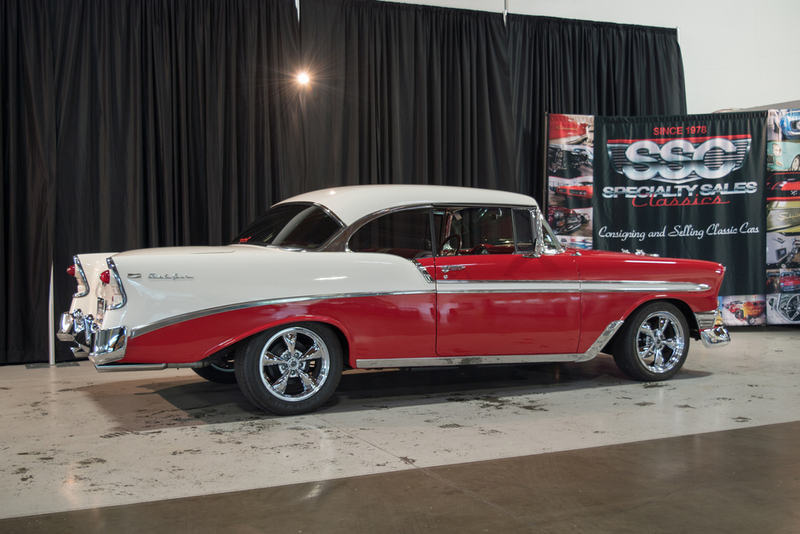 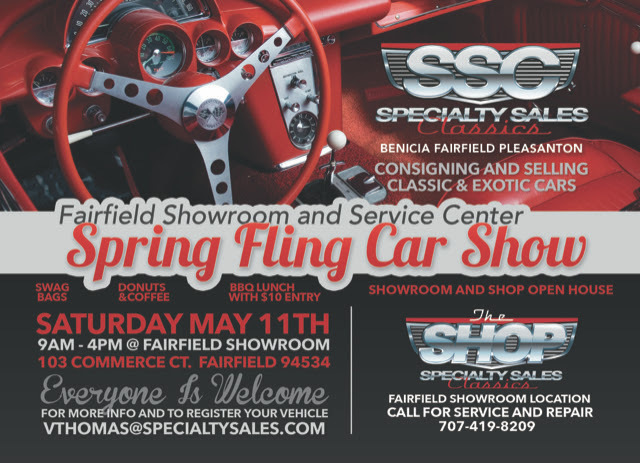 For more information about this vehicle, visit our Benicia, California showroom, give us a call at 707-748-4000, or email us at Sales@SpecialtySales.com. 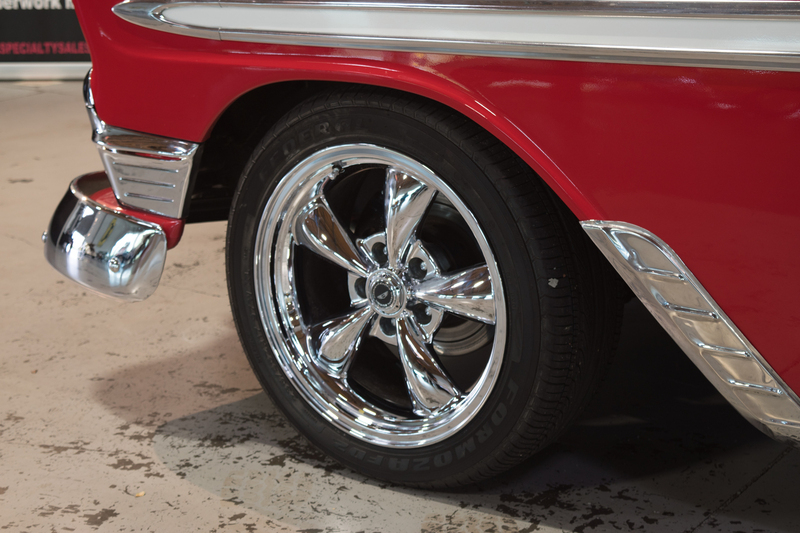 Be sure to mention Stock # B11485 as well.